Introducing art into clothes, couture in the street, Mahka shakes lines and creates a unique fashion label with many facets. 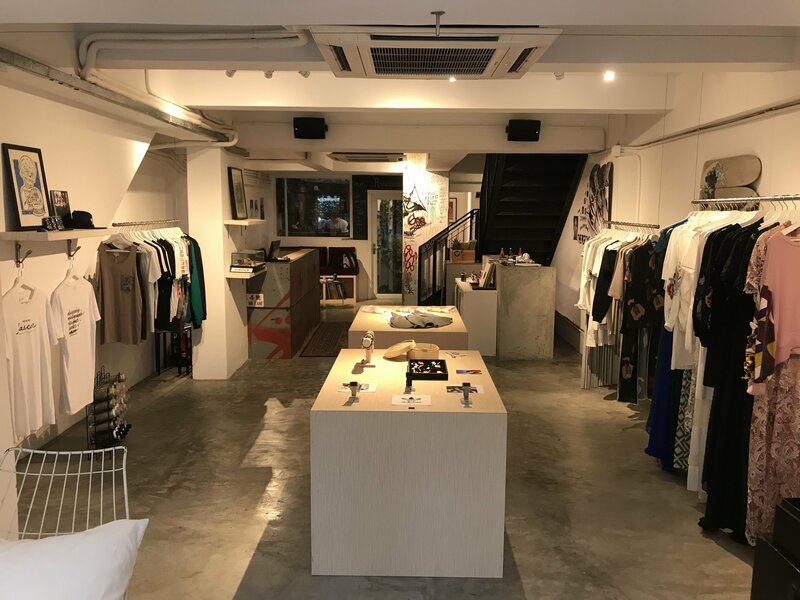 Based in Hong Kong, the brand inspirations are numerous and multi-cultural, with a strong influence of French “touch” due to the origin of its founder. Other inspirations as street, rock and vintage are visible. The Mahka universe offers clothes designed in collaboration with artists. Limited quantity, guarantee quality and exclusivity. More than clothes, it is a real lifestyle that Mahka represents. MUSIC – with Fauve Radio, a web radio at the back of the store with DJ every week from Wednesday to Saturday. With the mezzanine serving as an office & studio photo for taking care of business, as well as a lounge for welcoming artists, friends & family.